Anibal Pérez-Liñán studies processes of democratization, political instability, and the rule of law in new democracies. 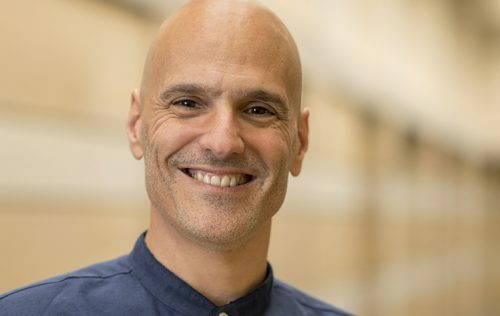 His research has been funded by the National Science Foundation, the United States Agency for International Development, the Inter-American Development Bank, Uruguay’s National Agency for Research and Innovation (ANII), and Paraguay’s National Council for Science and Technology (Conacyt), among other institutions. He is editor-in-chief of the Latin American Research Review, the scholarly journal of the Latin American Studies Association (LASA), and co-editor with Paolo Carozza of the Kellogg Series on Democracy and Development published by University of Notre Dame Press. Pérez-Liñán’s book Democracies and Dictatorships in Latin America (with Scott Mainwaring) analyzes the profound transformation of the Western Hemisphere at the end of the twentieth century, a transformation leading to the decline of military dictatorships and a sudden surge in the number of democracies. Democracies and Dictatorships co-won the Best Book Award from the Comparative Democratization Section of the American Political Science Association, and won the Donna Lee Van Cott Prize from the Political Institutions Section of the Latin American Studies Association. His book Presidential Impeachment and the New Political Instability in Latin America, documents and explains the emerging use of presidential impeachment as a political weapon. Traditional military coups declined in Latin America in the early 1990s, but elected governments have remained fragile. In several countries, congress has impeached the president or forced the president to resign, as illustrated by the recent cases of Dilma Rousseff in Brazil and Pedro Pablo Kuczynski in Peru. Corruption scandals, social protest, and legislative politics have created the conditions for a new pattern of political instability in the region.